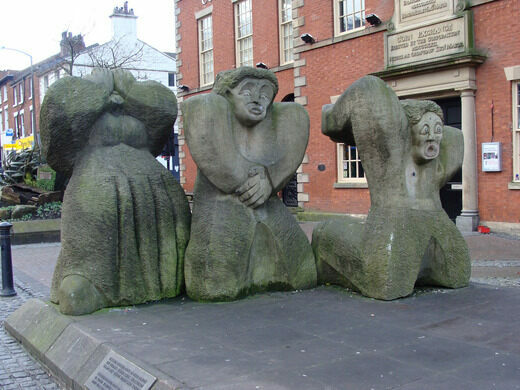 The economic depression that hit England in the early 1800s resulted in wage cuts of over 25 percent, and on August 12, 1842, around 3,000 cotton workers at Chadwick’s Orchard in the town of Preston (now the site of Preston’s Covered Market) walked out, refusing to return to work until they were granted a fair day’s wages. As the strike continued, the initial group went from factory to factory trying to encourage workers to join the strike. After some damage to property, the police and soldiers from the 72nd Highlanders were called to stop the riot. As the strikers moved to Lune Street, the crowd—which was made up of men, women, and children at this point—started to throw stones at the soldiers and officers. It was at this point that the local authorities exercised their right to use force if necessary to disperse riots. As the violence escalated, the military opened fire, shooting at least eight people and killing four. These killings were later judged to be “justified homicide,” and 12 men were given sentences ranging from nine months to two years in prison. 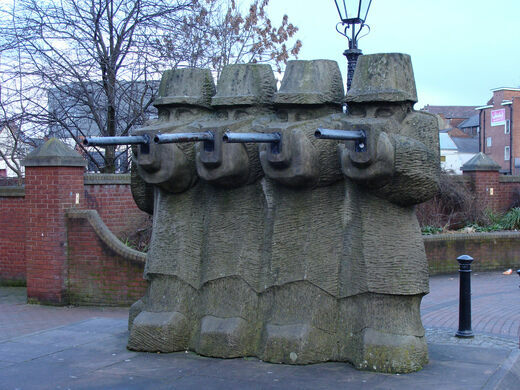 The Preston Martyrs Statue, also known as the 1842 Memorial, is a large stone sculpture depicting the shooting and the four victims who were killed. 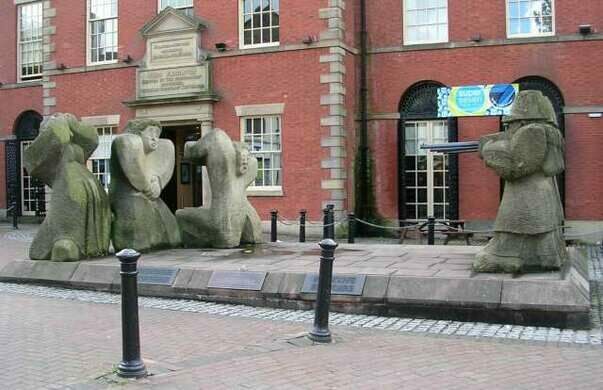 Inspired by Francisco Goya’s “The Third of May”—which depicts Spanish civilians being executed for resisting Napoleon’s troops—the memorial was erected in 1991 on the 150th anniversary of the Preston riot. It stands as a testament to the long struggle for worker’s rights and a reminder of the sacrifices made on the road to justice and democracy. 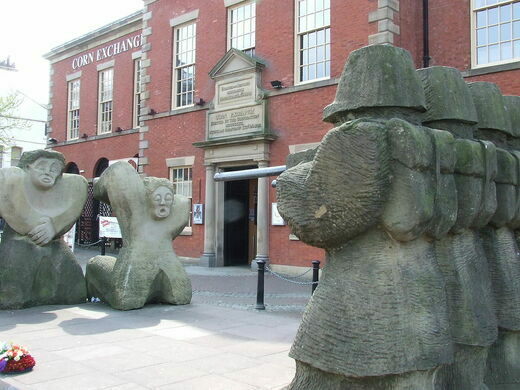 The memorial is located off Lune Street in front of the Corn Exchange Building, which also houses the 1842 Restaurant & Bar.